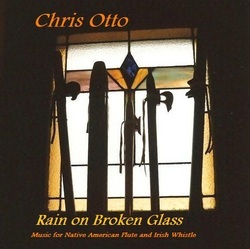 Chris Otto's CD "Rain on Broken Glass"
Chris' debut CD is a mix of songs in the traditional style of Native American Flute music, songs that reflect folk traditions from around the world and pieces that can best be discribed as experimental. 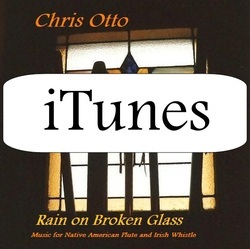 In addition to NA flute, Chris plays the Calimba, Irish Whistle and percussion on select songs. The CD finishes off strong with a blues jam, with Chris' friend Adam Yount on guitar. 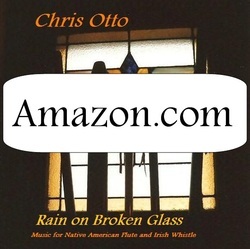 To buy the CD or digital downloads at CDBaby.com click on the Image.